With Louisville, Kentucky around the corner from Cincinnati I could not pass up the opportunity to visit the Louisville Slugger Factory. I made the hour and a half drive south and took a tour of the museum which was more fun than I had anticipated. Unfortunately I was not able to take any pictures inside the factory, so for those of you who are interested you will just have to make the trip here yourself. 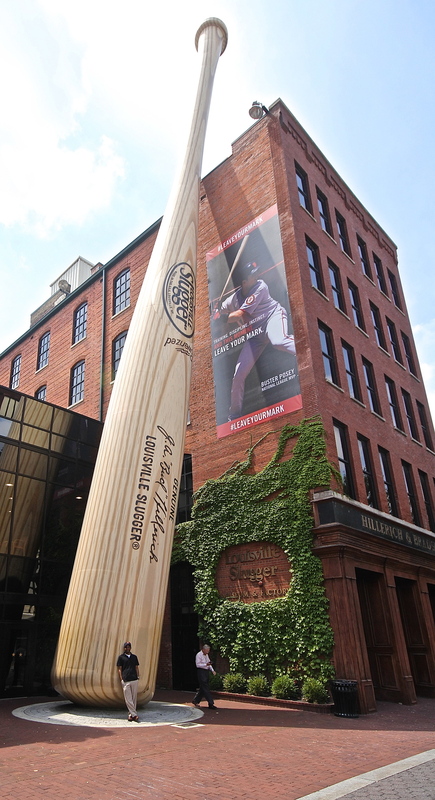 Much like the Hall of Fame in Cooperstown, the museum in Louisville is filled with great memorabilia, a theater that plays a movie explaining the importance of each player's carefully crafted bat and factoids about how a baseball bat is born. There was also a special Lego exhibit that featured recreations of both superstars and stadiums. 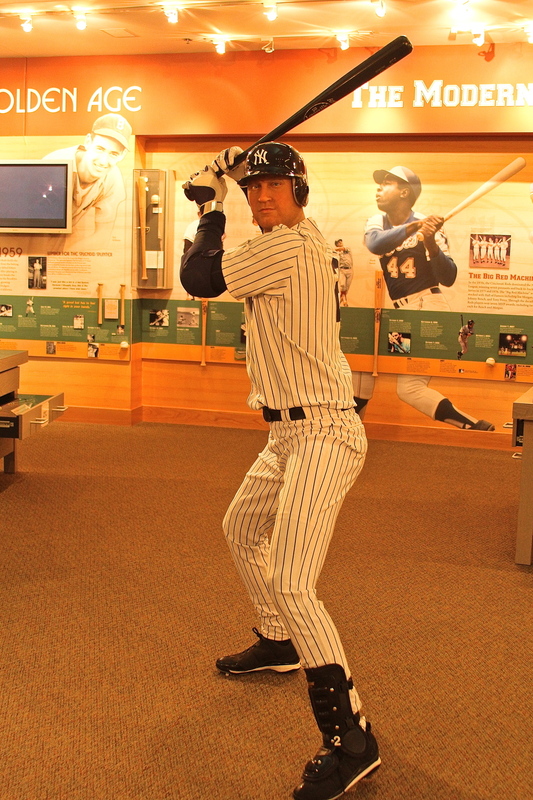 One of the coolest features of the museum is the ability to actually pick up a bat of a Hall of Famer. As the next stop on my tour is Cincinnati, I decided to take a couple of cuts with Reds HOF catcher Johnny Bench's bat. The factory tour itself is fascinating as our tour guide took us through the history of how bats have been manufactured on such a massive scale for decades. We were all given discarded nubs off of previously made bats as souvenirs, along with a free mini-bat that I can add to my collection. By the end of this tour I will have a mini-bat from all 30 teams as well as the Hall of Fame, Mt. Rushmore and now the Louisville Slugger factory. I spent a couple of hours at the museum before heading back to Cincinnati to record a podcast and watch some baseball. I am anxiously awaiting my visit to Great American Ballpark tomorrow as this has always been one of my favorite stadiums to watch on television.